Maldives National Defense Force has not discontinued security services to former Maldivian President Abdulla Yameen Abdul Gayoom, says MNDF. MNDF’s media official reports social media allegations the military has discontinued providing security services to Yameen are baseless. 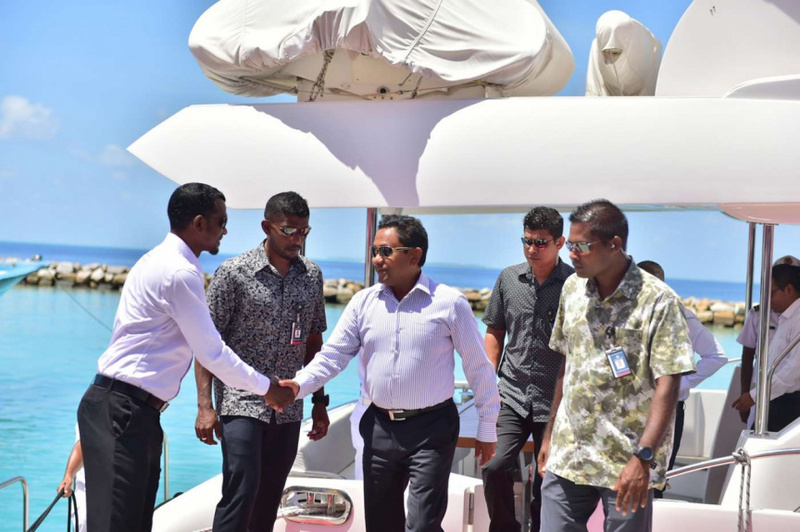 He said the MNDF continues to provide security services to all top government officials and all former Maldivian presidents. MNDF, during Yameen’s administration, discontinued security services to former presidents Mohamed Nasheed and Maumoon Abdul Gayoom. MNDF later restored security services to all Maldivian presidents including Nasheed and Maumoon.